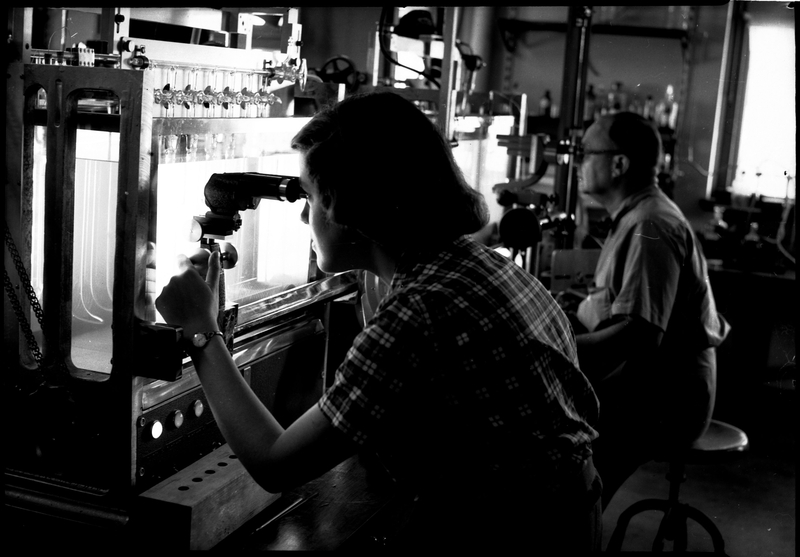 Black and white photo of a man and woman in a laboratory looking at a specimen. 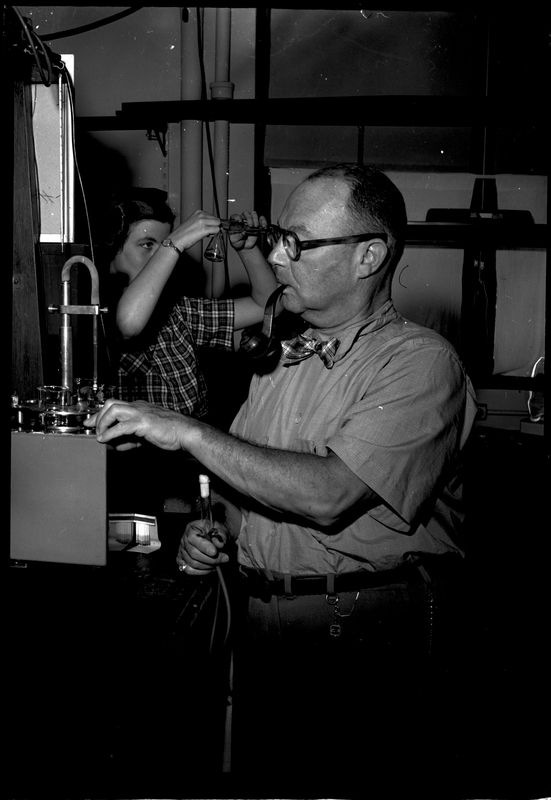 Black and white photo of a man and woman adjusting machines in a laboratory. 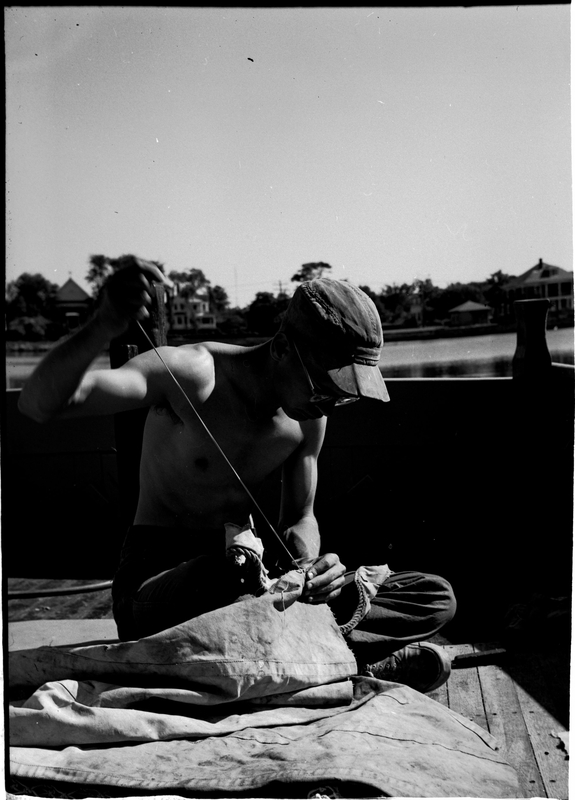 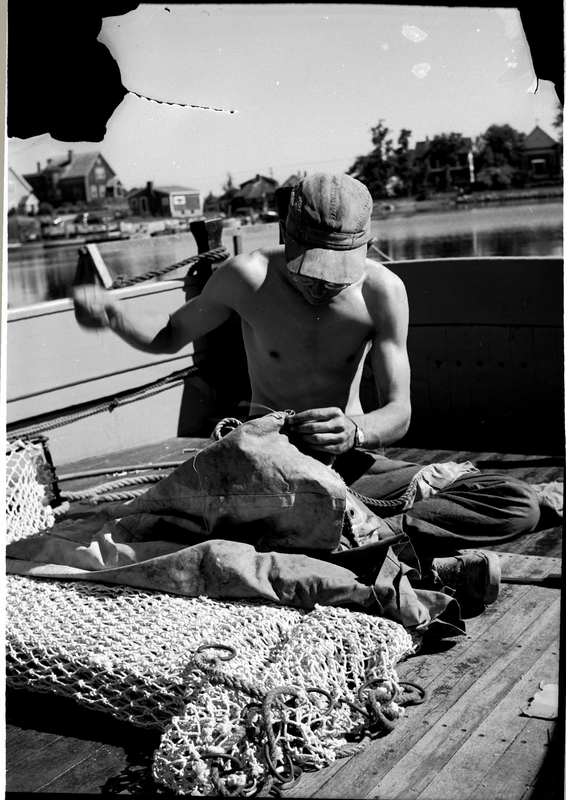 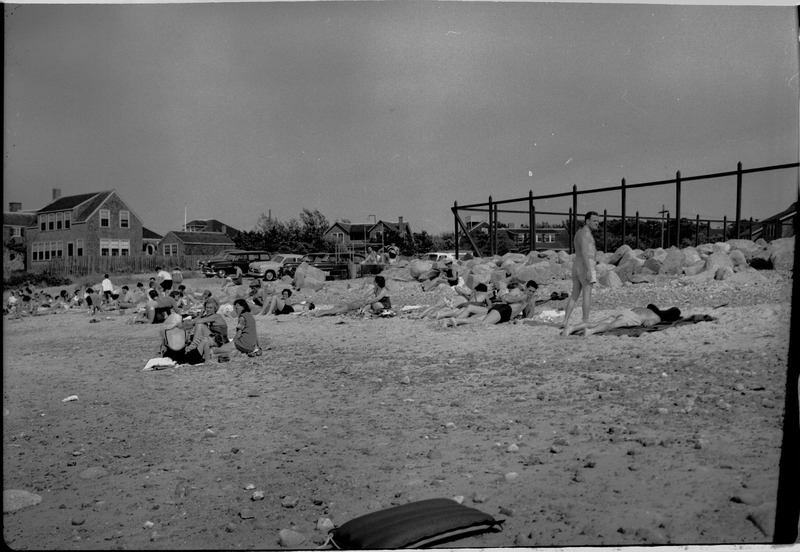 Black and white photo of a shirtless man sewing a net on a boat. 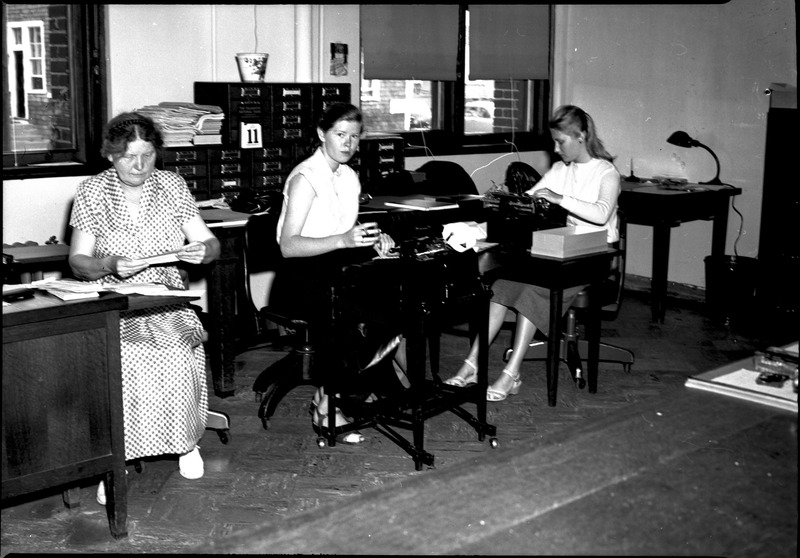 Two women seated at typewriters. 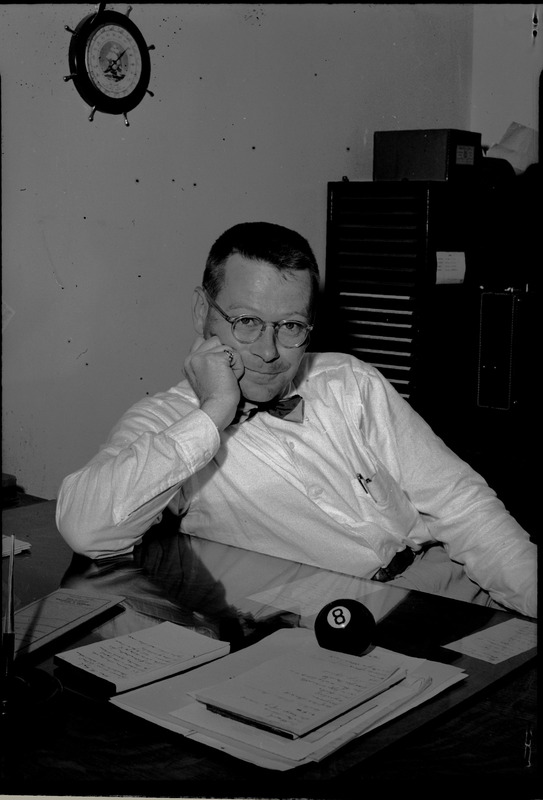 One woman seated at a desk. 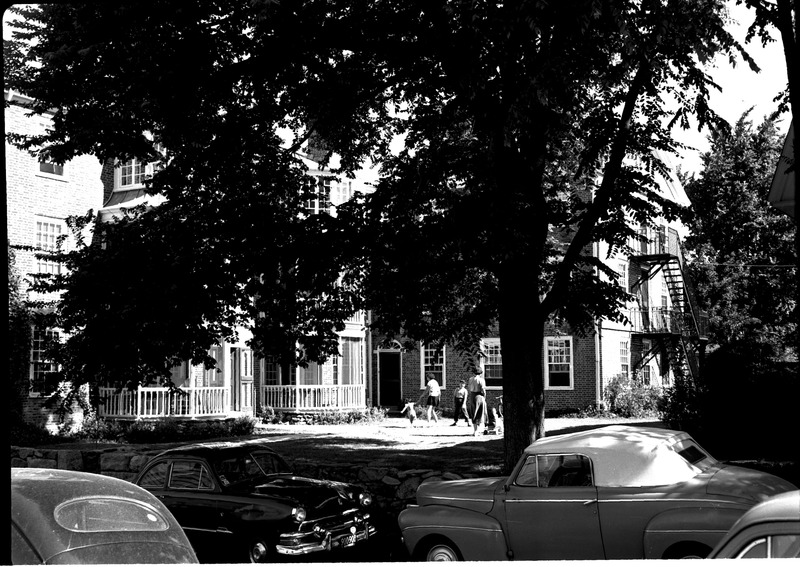 Alternative view. 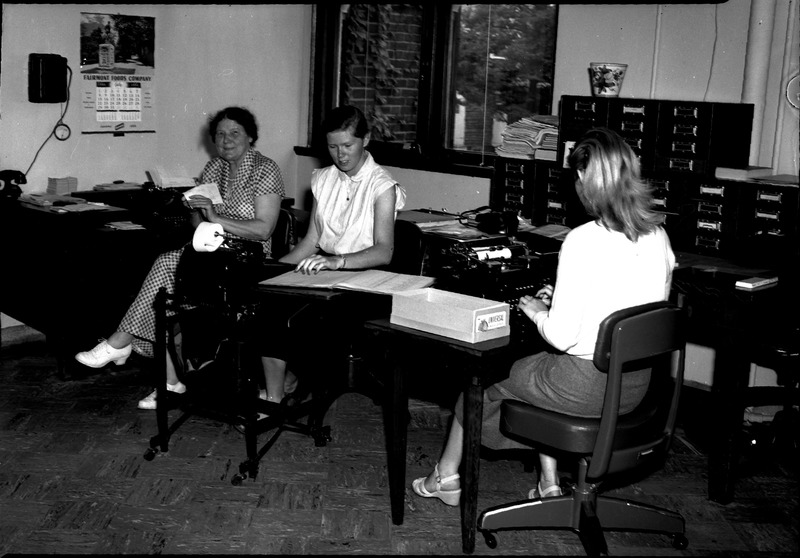 Two women seated at typewriters. 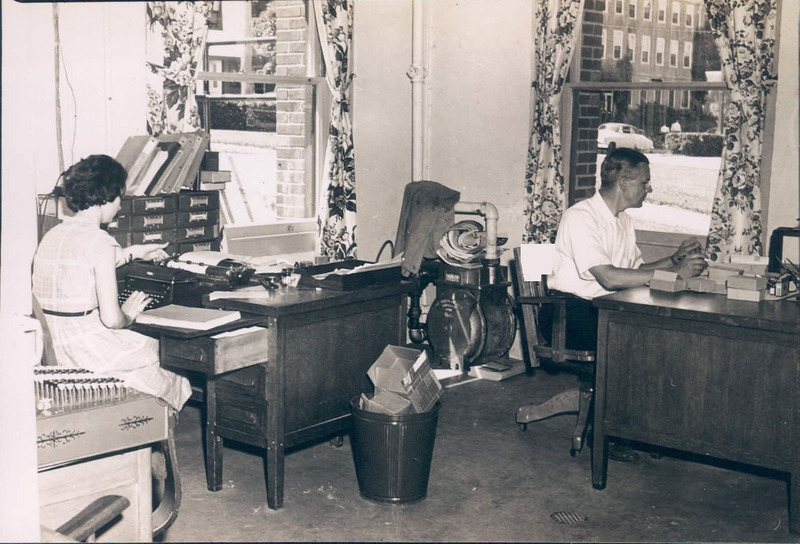 One woman seated at a desk. 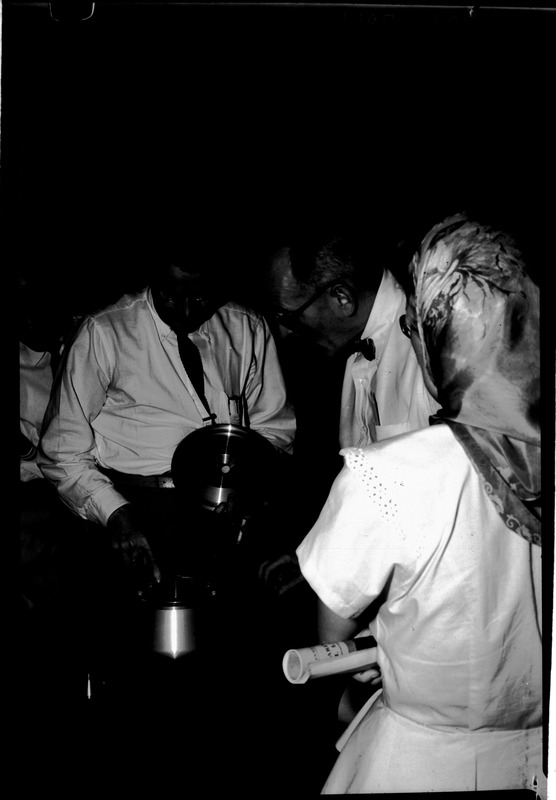 Dark photograph with one woman in foreground and two men in background looking inside a pot. 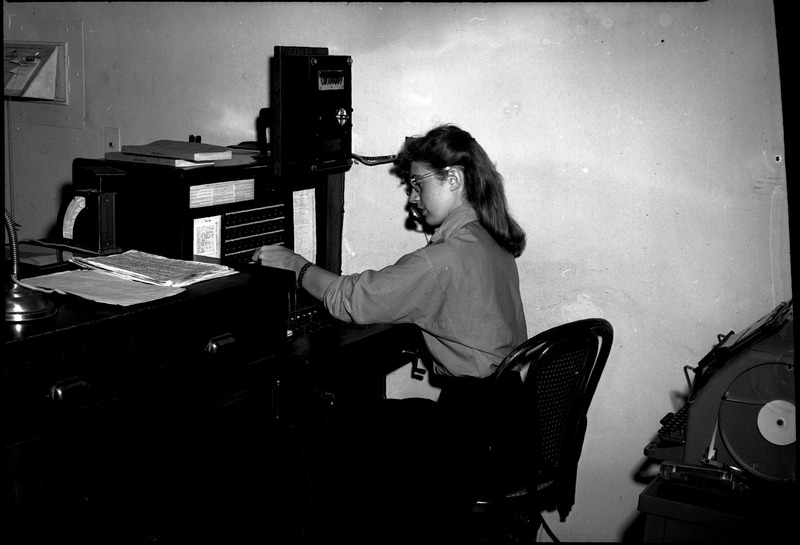 One woman seated at switchboard. 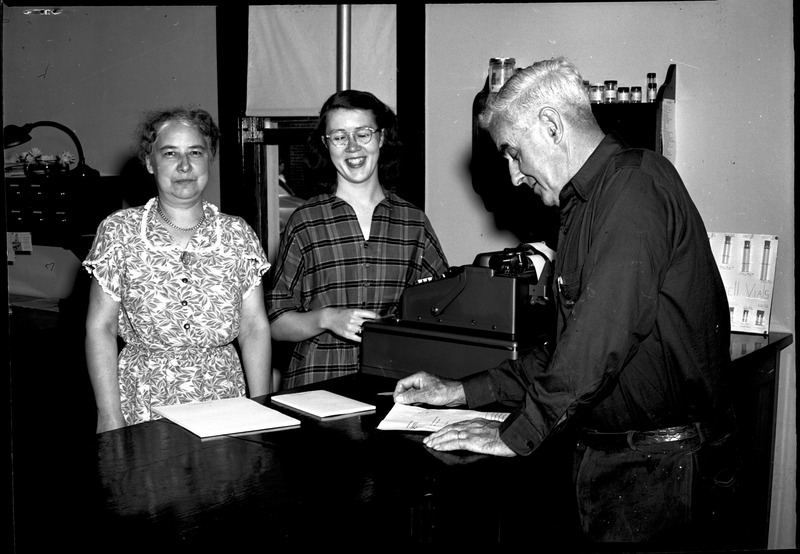 Two women standing behind a counter with a cash register on top. 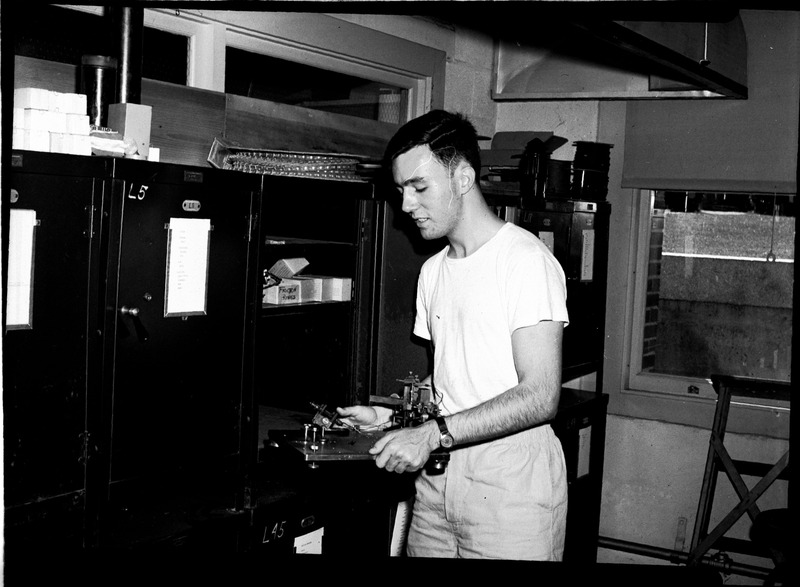 One man on other side of counter reading a piece of paper. 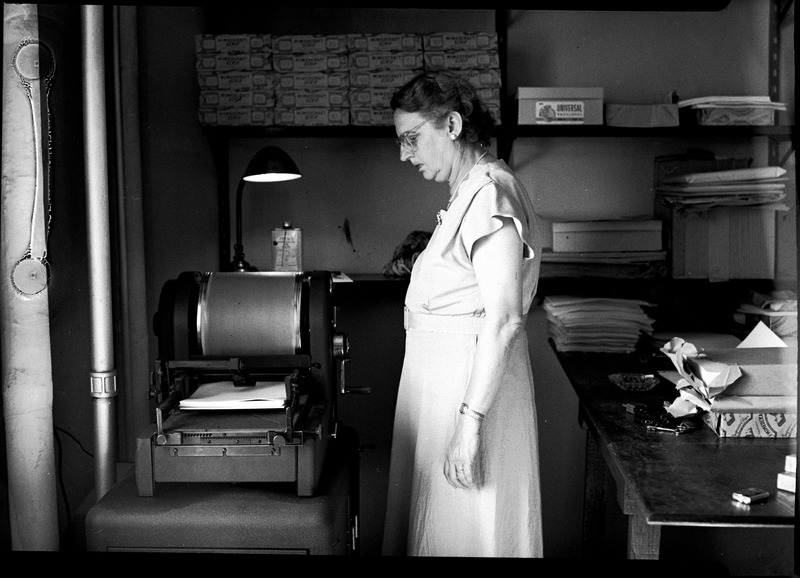 Woman standing at mimeograph machine. 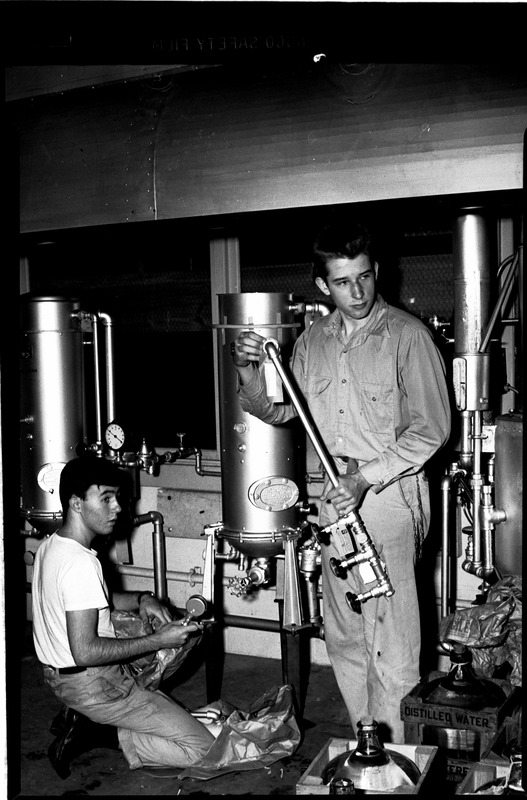 One man with apparatus in hand. 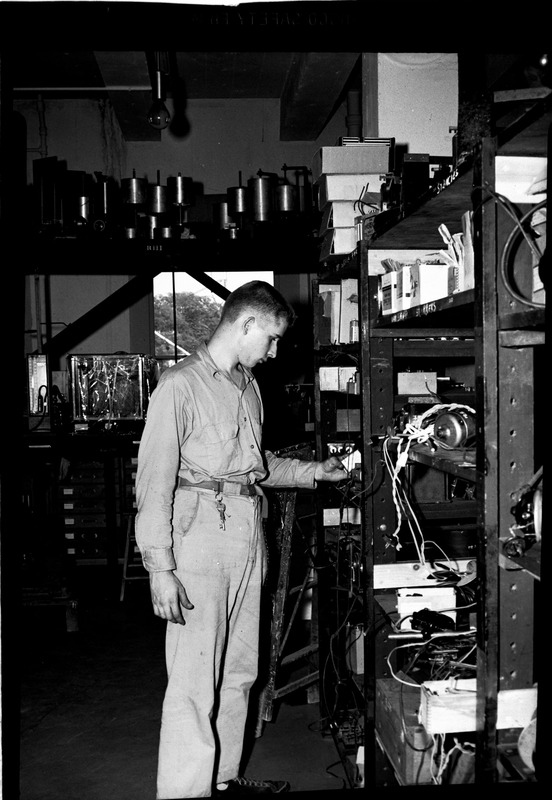 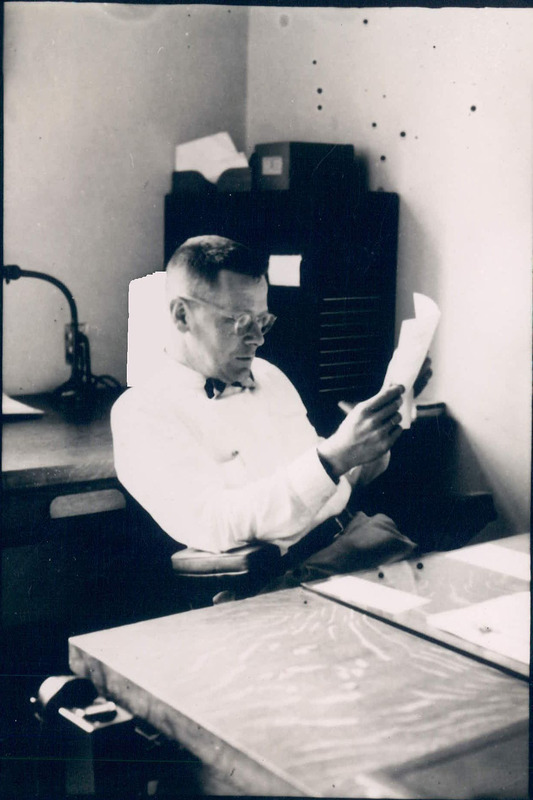 One man on one side of a counter with clipboard. 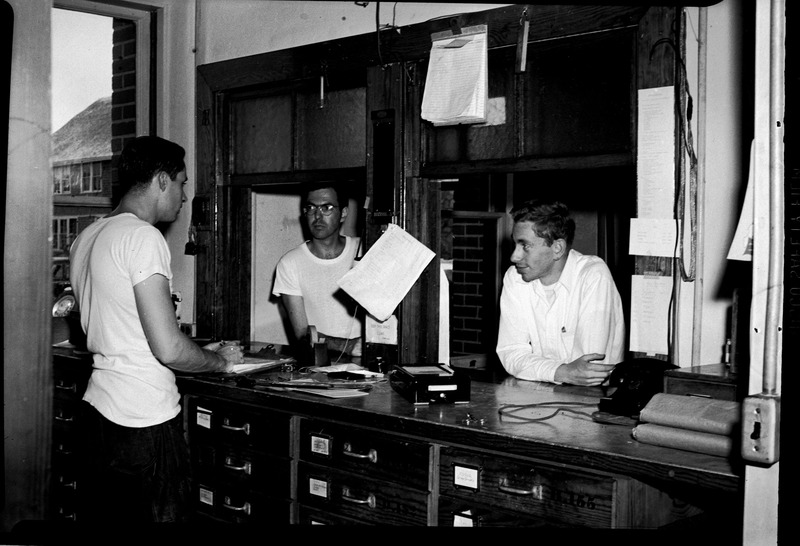 Two other men on other side of counter. 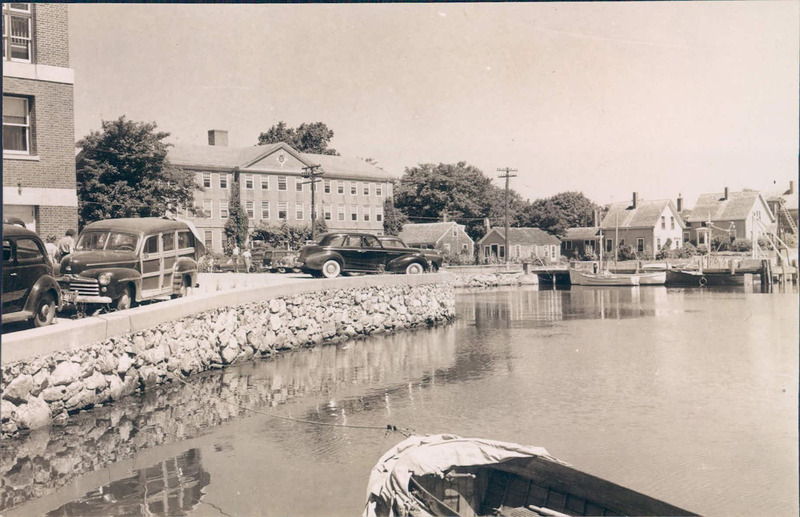 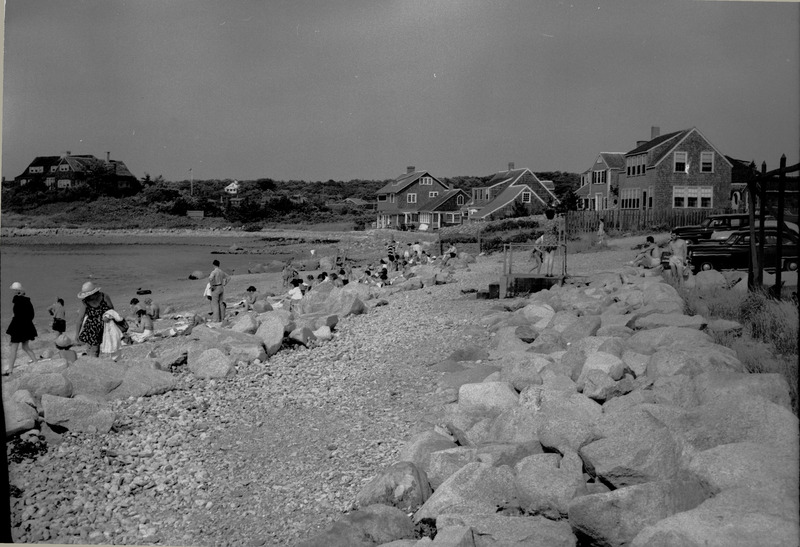 Photo taken from back of Lillie building showing Ebert Hall dormitory and part of Eel Pond. 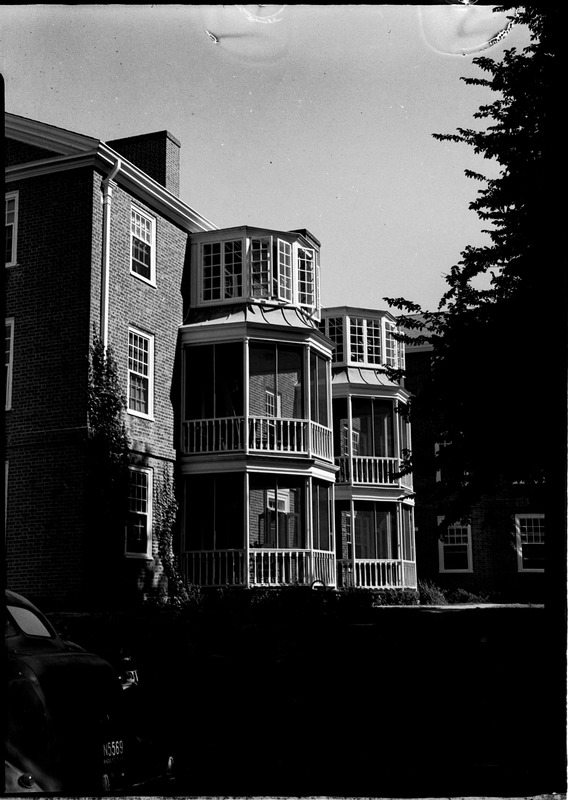 View of balconies of brick apartments. 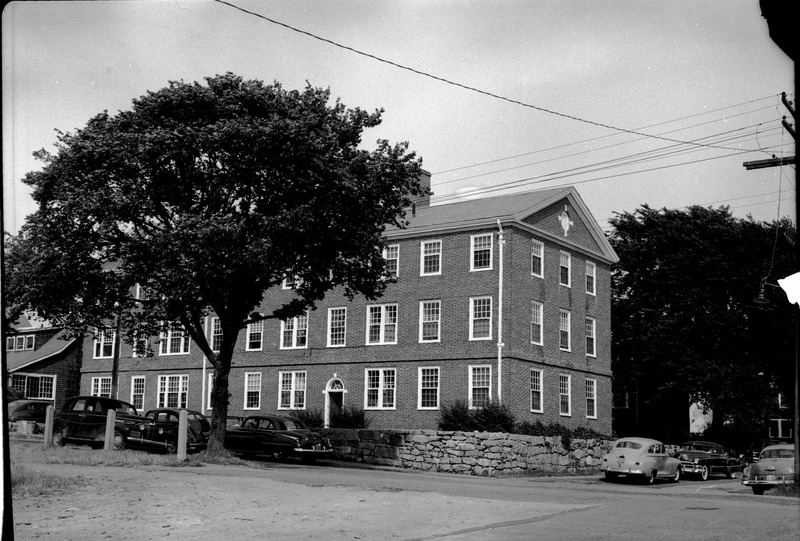 Exterior of Old Main building. 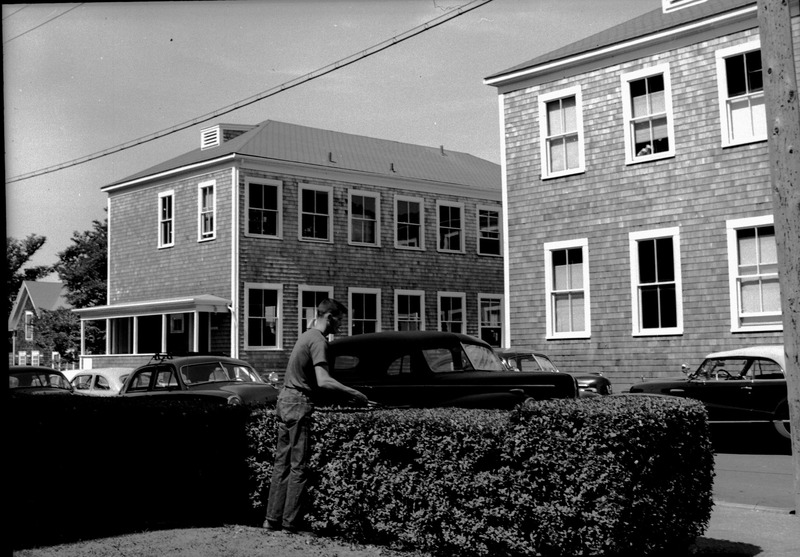 Man in foreground trimming bushes. 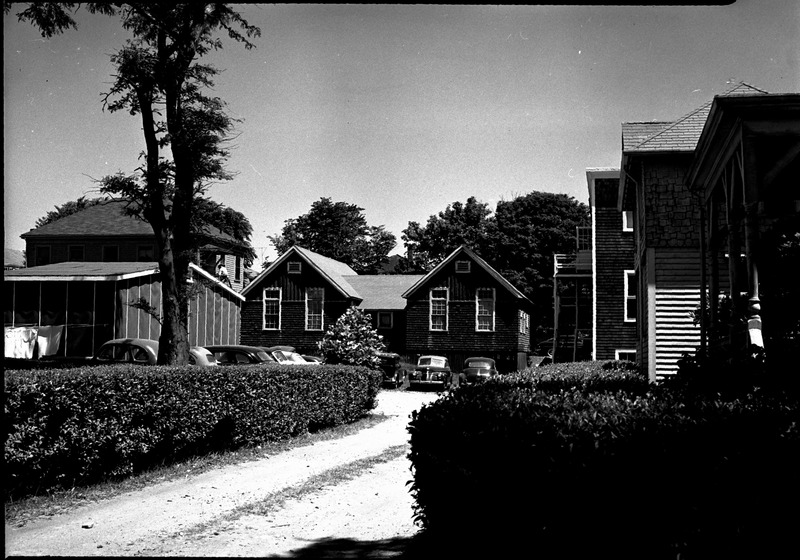 Looking down gravel road at parking lot and old lab building.